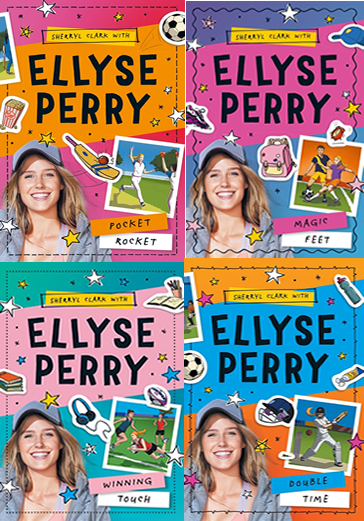 Ellyse Perry sports series out now! Follow Ellyse's journey as she ventures into cricket, touch footy and soccer, while she struggles with friend issues and everything new in Year 7. I wrote these books based on her experiences as a girl playing all kinds of sports, up against bigger and faster boys, and how she managed it all! Author interview about the book. 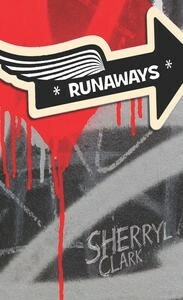 Read reviews at Kirkus, Amazon.com, GoodReads, LibraryThing, Bookstress. Cassie and her brother, Jack, are on the run from the past, from the future and from their failure of a family. But where can they go? And can you ever really run away? Told in two voices - Cassie and Jack - Runaways is a verse novel that takes the reader all the way across Australia and back again. Reviews here, here and here. Who could possibly defeat Nicholas Nosh? 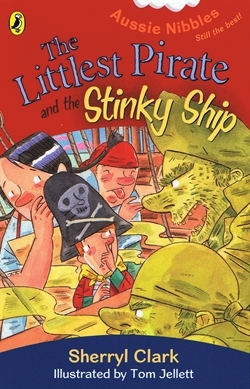 Only a pirate with a deadly weapon - the most disgusting, stinky ship to sail the seven seas! Join Nicholas in his latest Nibble adventure - more fun and fearsome fighting, and no sign of the Golden Pudding. Step into a world where pirates rule and one false move could be your last! 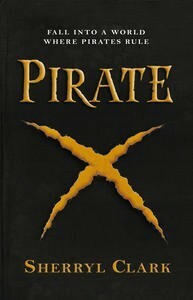 Pirate X is an exciting pirate adventure about a boy who finds himself far away from home. Will, a modern boy, is transported back from current day London to 1717 through a portal and lands in the pirate haven of Nassau. He's forced to work on board Blackbeard's pirate ship, learns how to fight with a cutlass, fire a cannon, and forms a bond with the hapless Captain Bonnet. However, Will is looking for a way to return to his world and to put together the pieces of the puzzle that took him back in time in the first place. But all the while, Blackbeard is suspicious of Will's strangeness and dismissive of his master, Captain Bonnet, who is still learning to be a pirate. 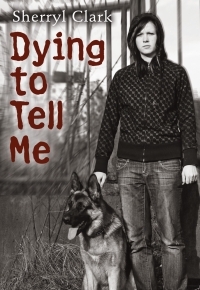 With his every move watched, Will is desperate to get home but will he make it alive? Or will he find himself at the end of the hangman's rope? Find out more about pirate history, read an extract, ask the author! All at the Pirate X website. and Rose lives with her family in a big house in Melbourne. She wants to play cricket, climb trees and be an adventurer! But Rose's mother has other ideas. Then Rose's favourite young aunt comes to town, and everything changes. Will Rose's mother let Aunt Alice stay? And will Rose ever get to do the things she loves? Meet Rose and join her adventure in the first offour stories about a Federation girl who's determined to do things her way! Click here for more about Rose's books and the OAG series. Books 2, 3 and 4 are out now, too. When Nicholas Nosh's cousin Primrose tells him he's too small to be a real pirate, he just has to show her she's wrong! But when things don't go to plan and Primrose is kidnapped, he wishes he'd kept his mouth shut. 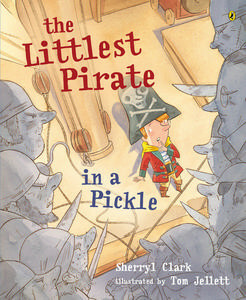 Can the littlest pirate in the world make it out ofa very big pickle? Now I Am Bigger captures all the excitement and wonder of a small child's world, when every day brings something new – new teeth, new words, new shoes, new bed – and every little change is very, very BIG. laces'. I wanted to try and capture their world, where everything, almost every day, is new. It's a very busy, intense and wonderful time. Teacher's Notes here. Poetry writing using Now I Am Bigger here. A ttending the National Ballet School is every aspiring dancer's dream. It's been Brynna's for as long as she can remember. When her parents move her family to Melbourne so Brynna can attend a top ballet school, it looks like her dream is about to become a reality. But why does she feel so awful about the move? Her brother Tam is angrier than she has ever seen him and her mother is working hard to keep the family afloat. Will every step towards success come at a price? For Brynna to realise her heart's desire, something has to give. But will it be her family? 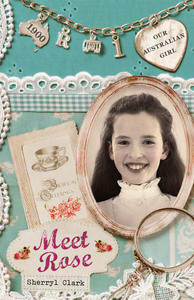 This novel is for readers 10-14 years. Since Chris lost his best mate, Dave, cars are all he really cares about. Then Josh Carter moves to town. His dad is a famous racing car driver and everyone wants to be Josh's friend. But as Chris soon discovers, Josh is a bit of a motormouth, and that's where the trouble begins . . .
Motormouth is a new verse novel, published by Penguin Books and available now. See here for notes on how to read a verse novel. Rebellious Dobie despises her wealthy background and has just lost the chance to be a professional dancer. Then there's Melissa - smart and sensible, always doing her best to compensate for a life on the run with her alcoholic mother. They couldn't be more different yet in between the anger and disappointment there's common ground. Once, they both had dreams - what went wrong? Bone Song is a moving story about the magic of friendship, and the power that love and hate can wield inside every family. 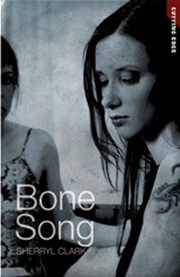 Bone Song is published in the UK by Ransom. 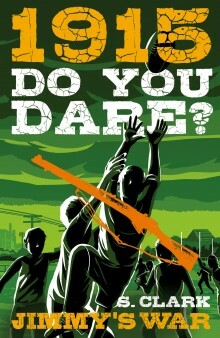 You can buy this title in Australia from Digital Education Services, along with other books in the Cutting Edge series. 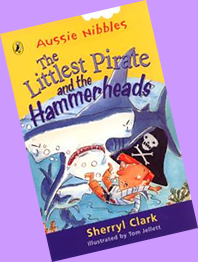 The Littlest Pirate and the Hammerheads - picture book! Nicholas Nosh has to battle nasty Captain Hammerhead to get his treasure back - but how can he win when the captain has four hammerhead sharks surrounding his ship? Out now in all good bookshops! 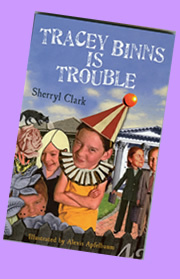 Tracey Binns is in trouble again! 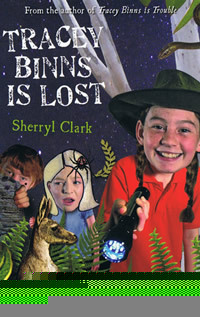 Tracey Binns has her own webpage here! When Gemma sees a starving horse in a paddock, she wants to help. She names him Moonbeam, and takes him food. But Moonbeam's owner doesn't want help, and no one else seems to understand why Gemma won't give up. The Littlest Pirate is a picture book! 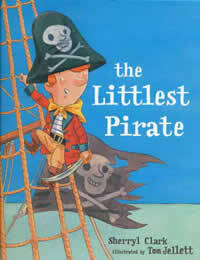 Nicholas Nosh, the littlest pirate in the world, isn’t allowed to go to sea. “You’re too small,” his parents say. But when Redbeard the Pirate captures his family, Nicholas must sail off with Gretta, the cook, to rescue them. Originally published as an Aussie Nibble, Nicholas's adventures are now in full colour! Available at your local bookshop - great price too - $19.95. Special new website all about the Littlest Pirate's worldwide adventures! Everyone knows Tracey is trouble - she never does her homework and she likes being the class clown. Her report card is full of Ds and Fs. But Tracey's hiding something, and when new kid Isabella becomes her friend, Tracey finally gets to show what she can really do. Tracey is a great character! She has her own website - find out more about Tracey, her favourite stuff, and the next Tracey book here. But as everything in her life starts to change, Dawn learns that sometimes not having all the answers isn't such a bad thing after all. Sixth Grade Style Queen (Not!) is a verse novel that tells the story of an awful year in Grade 6 and a girl who finds that nothing can be made to stay the same forever. Listen to some poems from the book (on poetry4kids.net). Read some poems from the book. Beth wants a horse more than anything. When her family move to a new house which has a paddock - with horses! – at the end of the street, she pleads with her parents to let her have her own horse, but to no avail. Then Aunty Grace needs someone to look after her pony, Brady. Only trouble is, Brady is old and very grumpy, and isn't interested in anyone riding him, especially not Beth. no one is allowed in the rift caves. Nicholas Nosh, the littlest pirate in the world, is back in another adventure! Captain Hammerhead sneaked into the pirate castle and stole all the treasure. Nicholas and first mate Gretta have to get it back. But can they outwit Captain Hammerhead and his deadly sharks? The family farm is the only life Zack knows. To him it's space, blue skies, cows, hay and the creek. But the drought could change everything. I HATE TO SAY THIS BUT FARM KID IS CURRENTLY UNAVAILABLE/OUT OF STOCK. i AM HOPING TO GET IT REPRINTED SOON. Susie is very shy, too shy to make friends or speak in class at school. But when she overhears two bullies planning to hurt Ben, the only boy who has helped her, she must find a way to warn him. But how, when she’s too scared to talk to him? Tony has two talents – drawing and playing football. His father is his footy team coach and wants Tony to try out for the regionals. Tony wants to attend a special cartooning workshop with his hero, Bren Tong. How can Tony do what he most wants without making his father angry? It’s the school holidays at last and Simon can’t resist the Grubb twins’ flying fox. It’s up to Molly to save him. 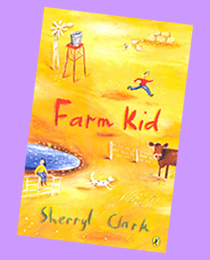 This story is full of action and includes a tangle with a crazy neighbour, trying to save an endangered possum and avoiding Grandma’s naughty parrot, Pecker. Merry dreams of being a ballerina, dancing on the stage in a beautiful tutu. But there are no ballet schools where she lives, and everyone thinks she is too fat to dance and wear a tutu. When Merry gets her chance to dance, nothing can stop her! Nicholas Nosh, the littlest pirate in the world, isn’t allowed to go to sea. “You’re too small,” his parents say. But when Redbeard the Pirate captures his family, Nicholas must sail off with Gretta, the cook, to rescue them. Eric’s mum is a worry at the best of times, but when she gets hypnotised at the circus, trouble looms. Why is Mum dancing in weird places? How can Eric stop her embarrassing behaviour? Haggis and Spit used to be best friends – now they’re enemies. What happened? And will the big softball game solve the problem? Or will Front End Loader, their terrible teacher, make things worse? If you want to know more about the Aussie Nibbles, Bites and Chomps, you can go to the Penguin website.